People don't realize it until it hits them and there's nothing they can do to fill the sizzling void. Philadelphia, the mid-Atlantic, even Florida are miles away from them. There's no shortage of toothsome local cuisine, wherever they be, yet a loyal pang in the separation-anxious gut conquers all the worldliness that impelled them from these shores, where wild geese flap eternally across a yolky sunset. There's no Wawa. There's no point. Not anymore! Thanks to Brothers Green Eats, this dire scenario is officially a thing of the past. 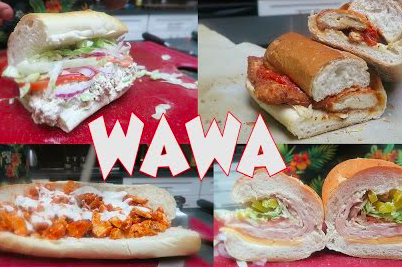 The video below is a survival guide on how to make every single Wawa hoagie all on your own. In the meantime, while you enjoy the comforts of home, it's worth taking a look at the rest of the videos produced by brothers Josh and Mike Greenfield, a Philadelphia-raised duo who now have a show on MTV. Whenever you're short on ideas for something quick and tasty, Brothers Green Eats has you covered.